My fascination of wild cats (of the feline kind) knows no bounds. And somehow, despite the taxing work schedule I have, the stars have been mysteriously aligning themselves to make such trips possible. The reason for the trip was, again, a farewell to a team member. The jungle, however, wasn’t the same. 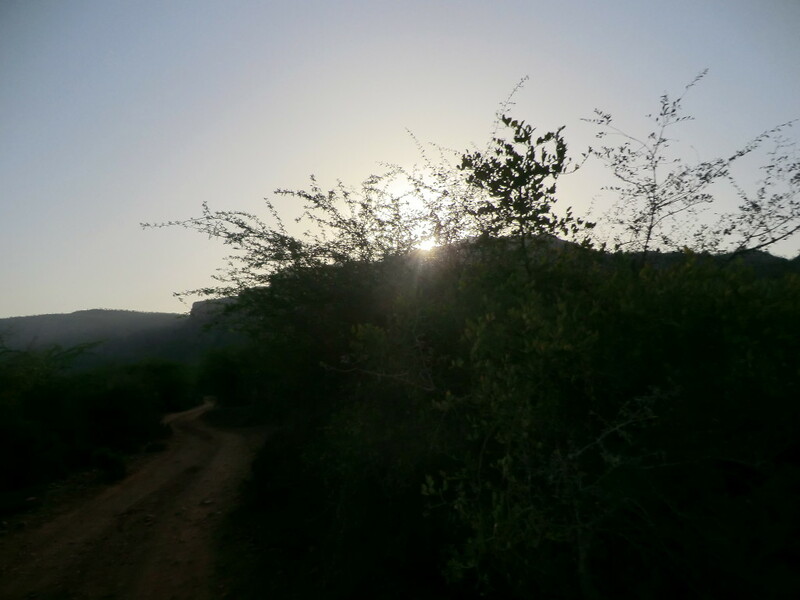 This time, we decided to take our tiger quest to Ranthambore. 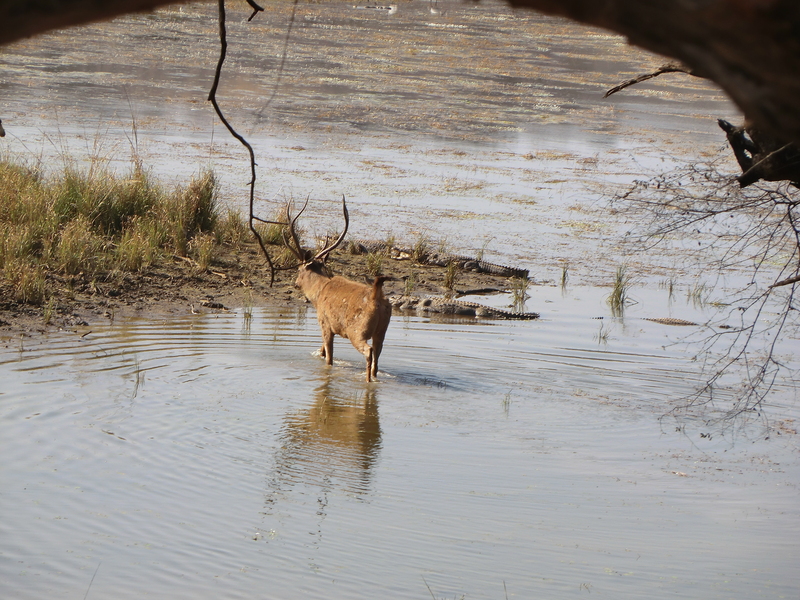 Ranthambore, is a very different tiger habitat from Corbett. The forest is dry and the days warmer. However, there are pockets of dense green jungles. The undulating landscape, the ancient hills, the numerous lakes and the deep ravines all combine to create a beautiful and surreal environment. It is not surprising that the king of the jungle resides in those beautiful environs. 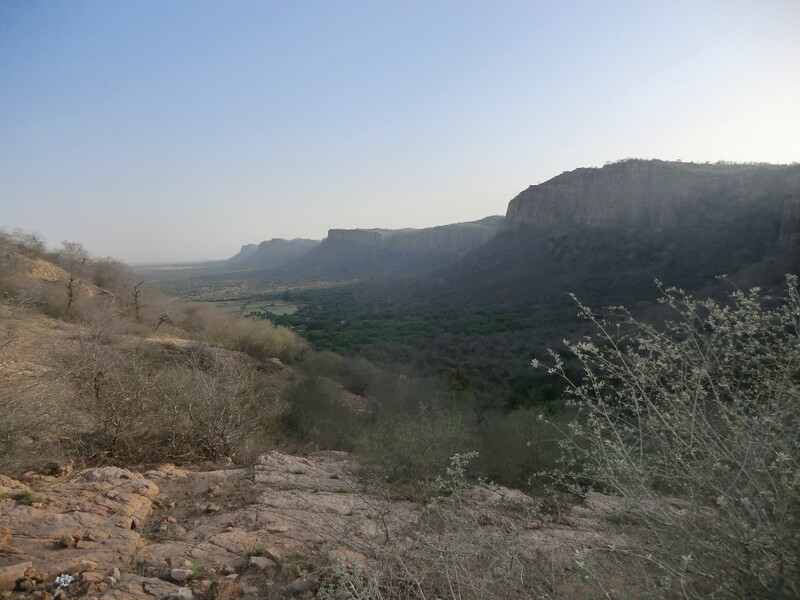 We arrived at Ranthambore on the evening of 17th April ( I know this post is long overdue!) and checked in to the Tiger Den Resort. 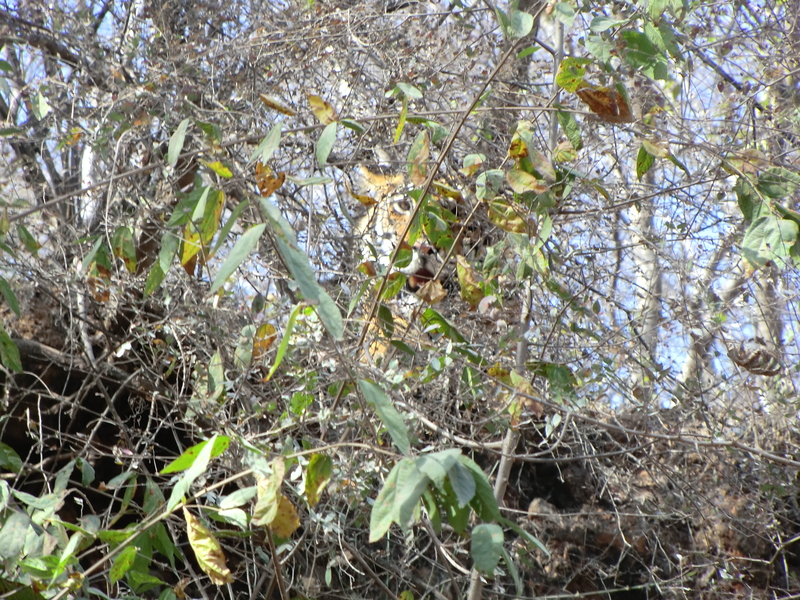 The sub par experience at the resort did little to dampen our excitement to spot the tiger. Next morning we were all ready and raring to go into the jungle but our safari vehicles arrived quite late ( arranged by Tiger Den Resort). Disappointed, yet eager to make the most of the remaining safari time, we enthusiastically boarded our respective vehicles and headed towards the jungle. We were headed to Zone 10 of the reserve. We spent a lot of time driving through the scenic landscape but had no luck with wildlife except spotting a spotted deer and a few feathered friends. From the top of one of the hillocks, we could clearly see the railway tracks that run very close to the reserve and which proved to be the nemesis of Broken Tail. At the fag end of our safari and very near the exit, news arrived that a tigress was lying close to a kill. We queued up to wait for any activity to happen but after waiting for sometime our guide lost patience and drove us out. 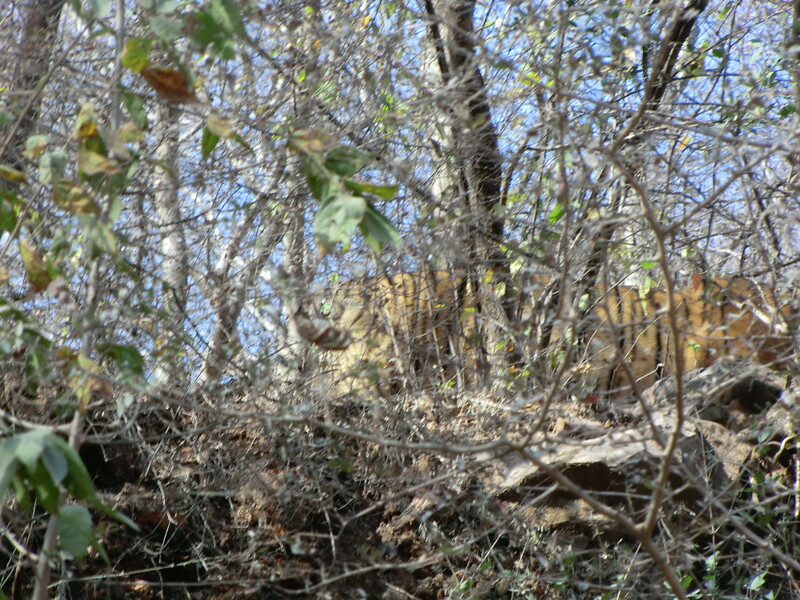 Some of our colleagues , who had a more patient guide, managed to catch a glimpse of the tigress. Needless to say, I was disappointed. The determination to spot the cat,however, did not diminish. We decided to change our lodging from the Tiger Den (we reckoned that our late entry and unprofessional guide cost us a tiger sighting) to a better looking but similarly priced Abrar Palace. After shifting to our new lodging, we decided to go out on other tiger safari on the same day!. This time it was going to be zones 4, 5 and 6 and the gypsy was replaced by a lumbering canter. Right from the onset, this safari appeared better. We spotted a lot of wildlife (mostly deer and boar) and lots of birds. We saw the lakes made famous by the remarkable huntress Machli (Lady of the Lakes). 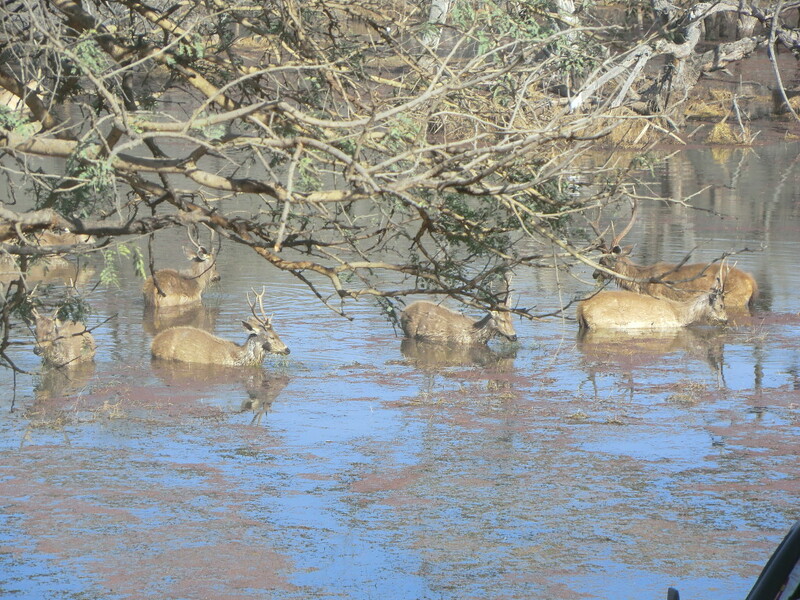 The sight of Sambhar deer grazing in the lake not far away from lazing magar crocs was incredible. These deer were walking a tight rope between necessity and risk. We waited by the lake shore for a tiger to show up but the wild cat didn’t oblige us. We returned to our resort with aching backs and broken hearts but soon all that disappointment vaporized into thin air. This was after all a farewell party and all I would say about it is that it was a night to remember. Next morning, tired and groggy, we decided to try our luck again with the tiger. We booked a few seats on a canter to Zone 2. The safari started and since it was our third safari in 24 hours, things were beginning to be a bit predictable. A few deer and crocs later, we had lost all hopes. But just then, a few pug marks rekindled our hopes. We tried to follow the trail but the pug marks soon disappeared. The safari was coming to its end and we were soon out of the reserved zone. And then it happened! Our guide received a message on his walkie talkie that Sultan (the juvenile king) was holding court on a ledge overlooking the road. It was mayhem them. The people and the diesel engines of the canters created quite a din. Yet, Sultan was staring down at us. It was sight to remember…a memory to cherish. Our efforts had finally paid off. And then in the middle of the commotion Sultan got up, gave us a nonchalant ‘what the hell’ look and walked away. The show was over and so was the quest. On a side note, I was appalled to see that tourists were feeding birds chips in full view of guides. I tried to reason with a few guides but it didn’t help much. The forest rangers also didn’t seem to be strict. Late entries were permitted. VIP Safaris were available aplenty. 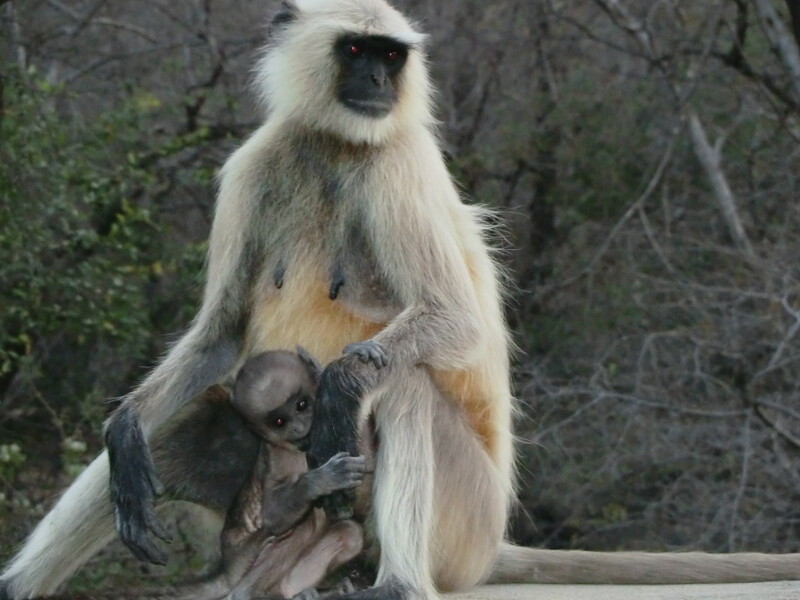 It appeared that the reserve had become so commercialized that tourism instead of conservation and wildlife took priority. Contrast this to strict enforcement of rules in Corbett and I realized why spotting a tiger or even pug marks in Corbett was a much more hair raising experience than here. Ranthambore has everything. Everything, that this, minus the goosebumps. And that’s sad because the wildlife is just as magnificent. What a classical Stuff here.. Nice to see the trail of tiger.